Some fighters enjoy preparing for a fight the most. They bask in the grind of sweating day in, day out with their teammates as they prepare for battle. Some fighters enjoy the fight itself the most. They’re sick and tired of getting beaten up every day in practice, so now the they have the chance to beat up someone else. Then there’s Shogun Fights flyweight champion Greg Fischer. There’s no question which part of a fighter’s life is Fischer’s favorite. It’s what happens after the fight, when Fischer is able to indulge in his other passion in life: food. 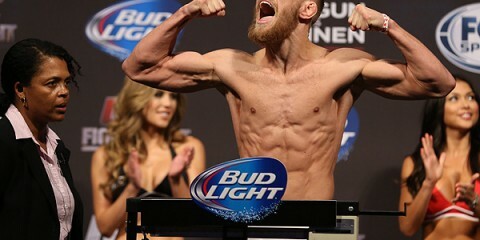 Despite his occasional indulgences, Fischer maintains the discipline necessary to make weight as a pro mixed martial artist. This discipline developed as a result of Fischer playing “every sport” while growing up in Jarrettsville, Md., north of Baltimore. Fischer specialized in soccer and baseball as a child before he started wrestling in junior high school and kept at it throughout high school. When Fischer graduated high school and enrolled in a local community college, he discovered it had no wrestling team. A friend was training at Method MMA in Forest Hill, Md., and suggested Fischer give it a try. 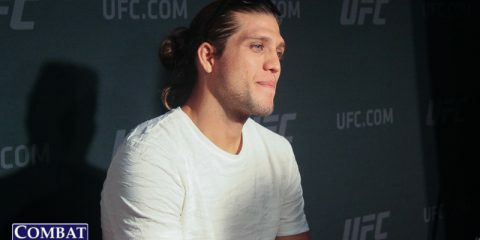 “He talked me into trying jiu-jitsu and I started winning some tournaments, so I just started training jiu-jitsu full time,” Fischer said. 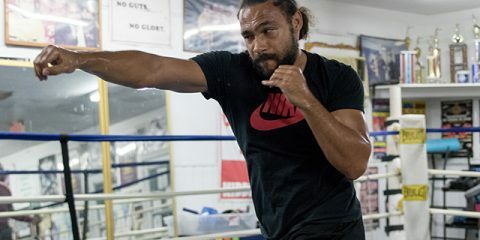 Fischer lost a close split decision in his amateur debut in 2012, but he has not lost since then and now boasts an undefeated record in his six pro fights. 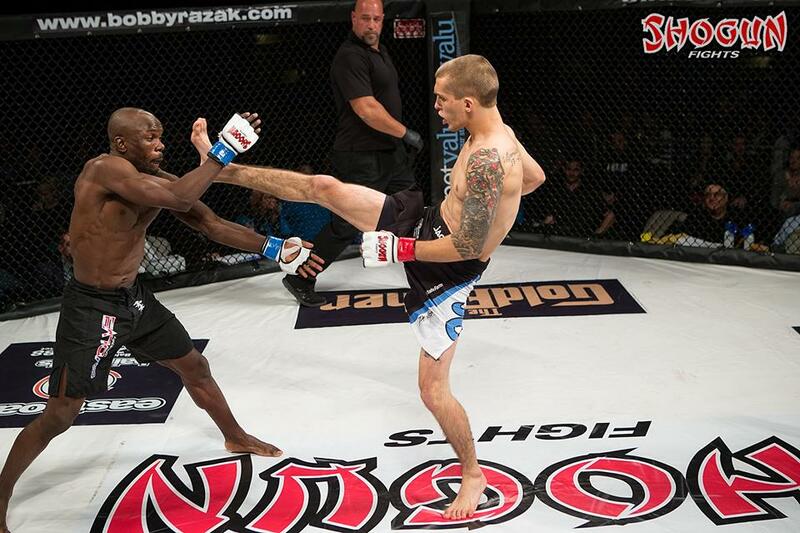 He has fought exclusively for the Baltimore-based Shogun Fights during his pro career. Fischer enjoys the familiarity that fighting for the promotion allows him. “I get to sleep in my own bed after weigh-ins, and I don’t have to travel,” Fischer said. “When I fought as an amateur in Virginia, I had to travel forever to get to weigh-ins. I also get to fight in front of my hometown crowd, and it’s the only organization in Maryland. 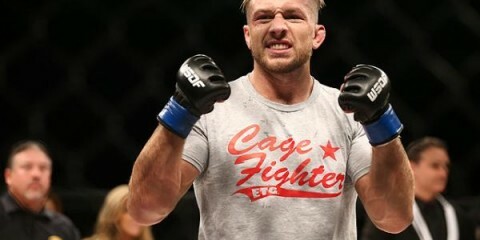 Fischer was crowned the inaugural Shogun Fights flyweight champion at the promotion’s last event in April. 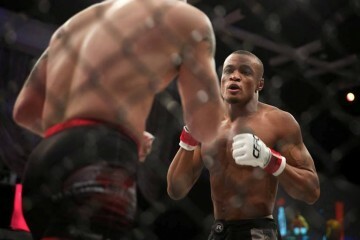 He defeated Martin Davila in a rematch of a previous bout between the two at Shogun Fights 14 last year. 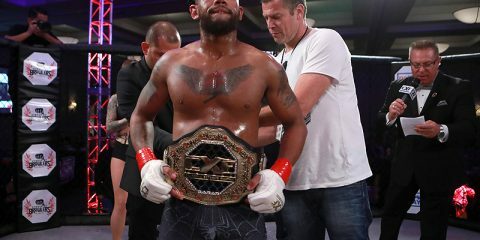 Fischer will make his first title defense at Shogun Fights 17 on Saturday, Oct. 7, in Baltimore against Albert Benjamin, who is also undefeated in his first two pro fights. Benjamin is a member of Evolve Academy in Gaithersburg, Md. 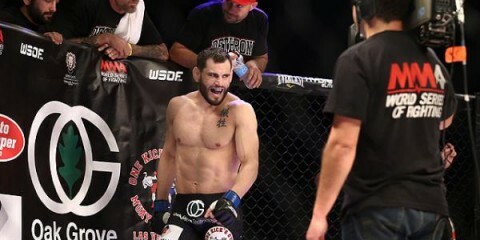 While Fischer is happy competing for Shogun Fights and is aware that a big payday in MMA is typically reserved for the Conor McGregors and Georges St-Pierres of the world, his hunger for a bigger stage is probably the only one that rivals his hunger for delicious food.